Showy heart shaped red blooms and heart shaped leaves make this the perfect Valentine gift for the plant enthusiast. 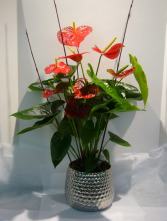 Very easy care, requiring bright light but not direct sun for continuous blooming all year round! 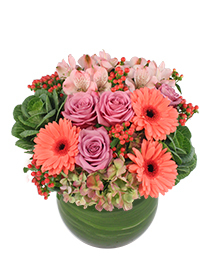 Full care instructions included with every plant from blossoms 'n such! 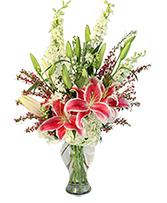 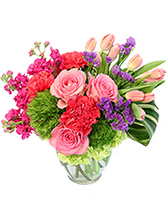 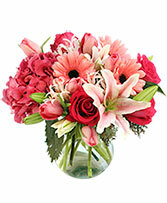 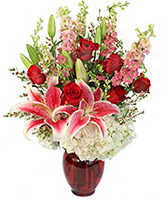 Let BLOSSOMS 'N SUCH deliver a beautiful surprise for you today!! 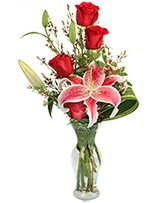 This vase of premium quality, long stemmed Red Freedom roses is an elegant and natural way to say, "I love you." 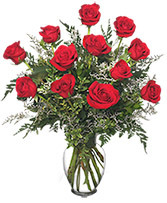 Call our shop or order Parksville, BC roses online today! 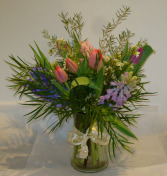 Other colours also available!